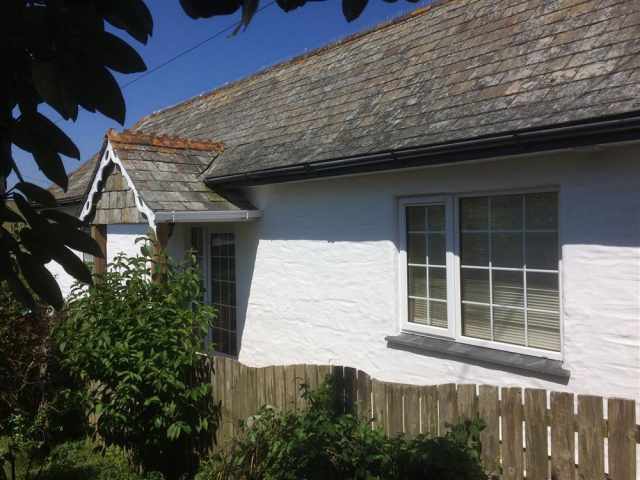 Just a couple of minutes walk down the hill to the beach at Gorran Haven and with glimpses of the sea across cottage rooftops, this spacious accommodation is in the major part of an attractive extended cottage of great character. 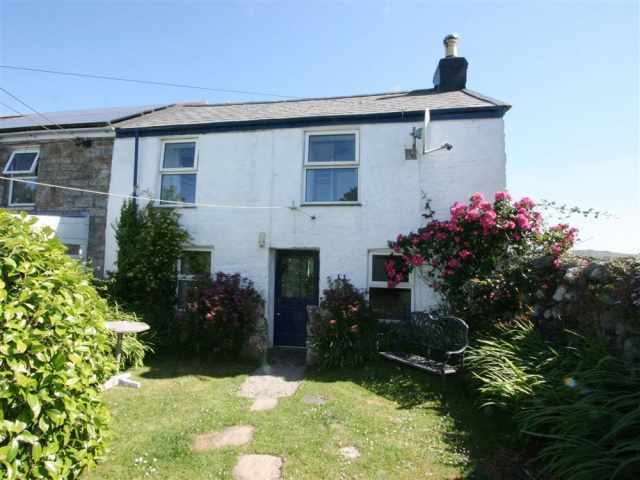 The local shops and pub are within a 5 minute walk in the village of Gorran Haven as is the South West Coast Path and the family friendly beach offering safe bathing in the cove. St Austell, about 20 minutes drive, offers a wider range of shops and facilities. The Lost Gardens of Heligan and The Eden Project are both within easy driving distance and the picturesque fishing village of Mevagissey is about 4 miles away. Approached from a gated parking area by a sloping path edged by a trickling stream at one side. The glazed front door opens into a hall with coat pegs to one side. A step down leads into a wide sitting / dining room with a low beamed ceiling with views down over the village to the sea and a door to a lovely railed sun terrace with patio furniture. A step up from the sitting room leads to a well fitted kitchen / breakfast room with a vinyl cushion floor and pine units. Stairs go directly up from the sitting room to a landing on two levels, a bathroom W.C. with hand basin and separate shower cubicle and to three bedrooms. These have a double bed, a 4ft double bed and a double and alternative single respectively. There is on-site parking for one car or for larger vehicles parking is available in the village car park which has direct access to the property. One pet is welcome but the garden is not totally secure for pets and toddlers will require supervision.